Whether your tank is a 20,000,000 litre bulk fuel storage tank or a 2,000 litre domestic heating fuel tank we can help out with the cleaning and maintenance works required. Merkland Tank will use this information to deal with your enquiry. Our Privacy Notice explains how we take care of your data. Whether your tank is a 20,000,000 litre bulk fuel storage tank or a 2,000 litre domestic heating fuel tank we can help out with the cleaning and maintenance works required. 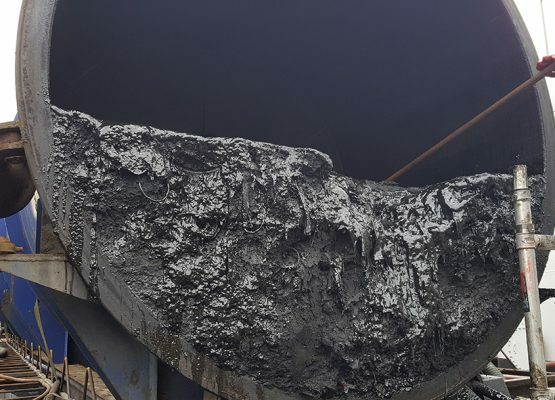 In some cases the tanks, associated pipelines and pumps are cleaned to allow a change of product storage so the new product is not contaminated with previous products or sludges which are left in the tanks. 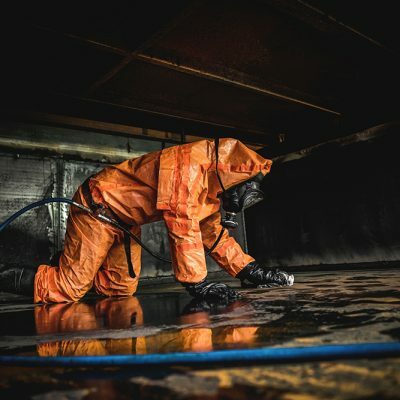 In other cases the tanks are cleaned to allow safe dismantling of the structures, this eliminates the risk of explosion, fire or increasingly in these more environmentally aware times ecological pollution of the surrounding area. 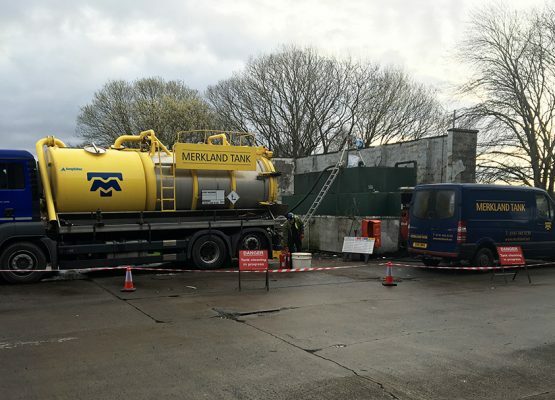 While carrying out all those tasks we ensure that at all times we employ the correct safety standards for the tank configuration, location and products stored. This can be what appears to be simple water tanks where risks can be from its location underground, creating a difficult safety escape system, or in cases where the tanks have rusting steel a lack of oxygen present. The more obviously hazardous tanks are those containing volatile fuels which for instance require heating to remove product such as Heavy Fuel Oil(HFO), the heating itself creates hazardous gases which have to be vented safely out with the area of work. Lighter petroleum products such as Aviation Fuel and Petrol involve a high degree of PPE to be worn by the operatives to ensure safe working conditions for them and the rest of the team. We try to eliminate the hazards prior to carrying out any confined space entry and indeed where configurations allow try to carry out the works without entering the tank. This can be achieved in a number of ways but is really only practical in smaller diameter tanks with light contamination where the most common method is hot or cold spinning water jet cleaning. Our expertise is not just limited to above or underground ground storage tanks we also work on ships tanks, tanks located within buildings such as schools and office accommodation. Call us today, our experts are on hand to help. Authorised and regulated. All our engineers are fully qualified and accredited.